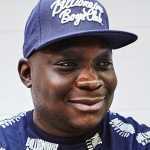 Legendary figures in British music in equal measure, famed producer Joe Buhdha ​​​​​has connected with soul empress Terri Walker for the second time—following their 2014 collab EP, Untitled to Entitled—and has brought in London Posse rap king Rodney P for "Breakout", the new project&apos;s lead single. Backed by Buhdha&apos;s ska-leaning reggae beat, Walker sings us through some righteousness all before Rodney P blesses the track with his effortlessly cool cockney-yardie styles. Joe Buhdha Presents: Terri Walker is slated for an early Jan. 2019 release, and will feature five songs in total. "This project, for me, has been an essential one," said Terri Walker over email. "I really just wanted to celebrate the unsung heroes; people like Joe Buhdha, who have done so much but don&apos;t always get the recognition they deserve. So I literally had to force him to call the EP &apos;Joe Buhdha Presents&apos;, as without him, my pen is just words spoken into the wind. As for Rodney P—no words! Just listen to that fire he spits! Salute our kings. UK hip-hop royalty, the both of them. I&apos;m so honoured I got blessed with their magic." Watch the blues-styled, JP Clear Vision-directed video for "Breakout" above.